Things are always progressing at Toyne. Learn about the latest company happenings here—including upcoming events, company news, and Toyne’s fire apparatus deliveries around the country. For media inquiries, please contact Scott Masching, Sales/Marketing Coordinator (smasching@toyne.com). Knox, Indiana (April 1, 2019) - The Knox-Center Township Volunteer Fire Department received delivery of their new customized Toyne Pumper. This is the department’s second Toyne Tailored Apparatus. A new pumper was needed to replace an older engine in the fleet. Specialized equipment on the Toyne apparatus will greatly increase the department’s firefighting capabilities. 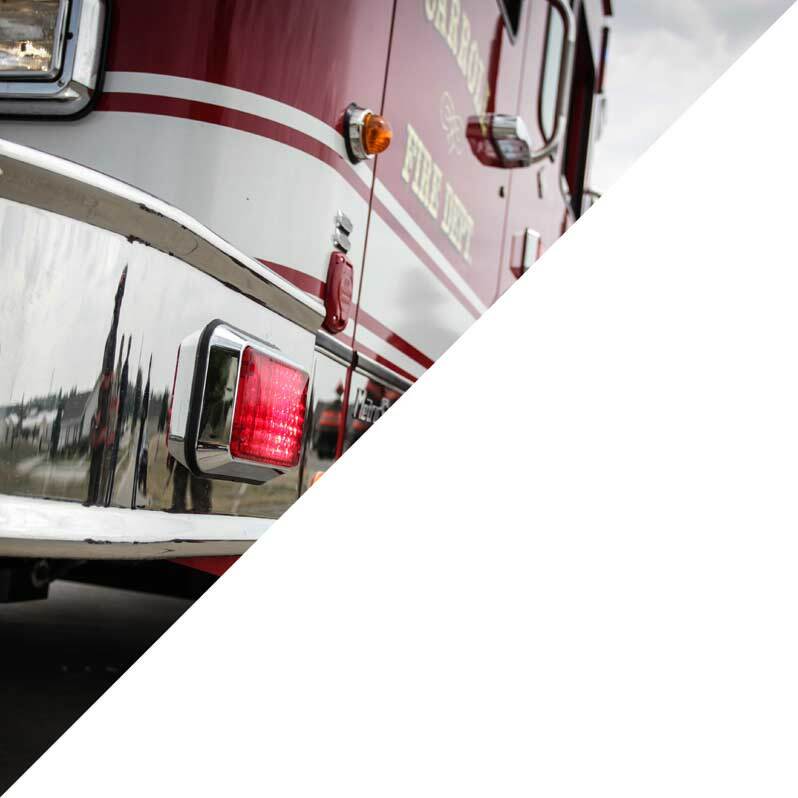 Breda, IA (March 21, 2019) - In April, Toyne will gear up to showcase its latest fire apparatus and customization expertise at the 2019 Fire Department Instructors Conference (FDIC) in Indianapolis, Indiana. FDIC is the world’s largest firefighter expo and conference. The event will be held in the Indiana Convention Center and Lucas Oil Stadium from April 9-13. Elko, Nevada (March 1, 2019) - Elko County Fire Protection District in Elko County, Nevada recently received delivery of four Toyne Tailored Apparatus. Toyne delivered two Wildland, one Pumper Tanker, and one Rapid Attack apparatus in early February. The Storm Lake Fire Department in Storm Lake, Iowa has expanded its fleet’s ability to respond to the variety of incoming calls it receives, after purchasing two custom built Toyne apparatus. The Bonnieville Fire Department in Bonnieville, Kentucky recently added a new Toyne Pumper to its fleet, expanding its firefighting power. The Elsberry Fire Protection District in Elsberry, Missouri has added additional firefighting power to its fleet this summer and fall with the arrival of two new Toyne apparatus. Toyne, Inc., an Iowa-based manufacturer of custom fire apparatus, recently hosted its annual dealer meeting at The Carrollton Inn in Carroll, Iowa and its headquarters in Breda, Iowa. Dickinson Rural Fire Department is now home to a fifth Toyne apparatus, after receiving a new pumper in mid-August. The department, located in Dickinson, North Dakota, has been a longtime Toyne customer, and its latest apparatus will help bolster its firefighting efforts in and around the city. View the latest apparatus being delivered to Toyne customers across the country. Stay up to date on all of the FDIC action. Want to get an up close look at our apparatus? Visit us at one of the following events.